I know some people who are greatly affected by cancer. But one of the most unforgettable stories I heard was with my Ninang Dada. I couldn’t believed how this cancer could easily take the life of someone who’s so kind and nice to everyone. She’s so awesome in so many ways. Among all my godparents, she’s the closest to me. In 2006, she was diagnosed with colon cancer and just September of last year, Ninang left us to join our Mighty Creator. But her memories will always be here with us – her smiles and soft spoken voice. I know how it feels like being so down and hopeless but no one could ever say how she felt when she was in pain and struggling for her life. I know hot it feels like being helpless but her optimism and faith gave strength and hope to each one of us during her struggling days. Sometimes, when you’re out there, you just wanted to cry to release everything because that’s all you can do aside from praying to save her life. And because of my Ninang’s story, I am inspired to support this cause. I am supporting Kythe‘s Child Life Program which aims to uplift and give hope to kids with cancer. In cooperation with Unilever Foodsolutions, Kythe is spearheading this Real Love Campaign outreach programs which enables kids with cancers to interact and create fun and healthy sandwiches care of Lady’s Choice and Best Foods mayonnaise. Also, in partnership with Team Manila, the store released a specially designed, limited edition shirt available in Team Manila outlets in Rockwell, SM Mall of Asia, TriNoma and on their online site. For only PhP 550, part of the proceeds of the shirt will go directly to Kythe. Check the links here: (men, women). Real Love Campaign is also in Facebook. 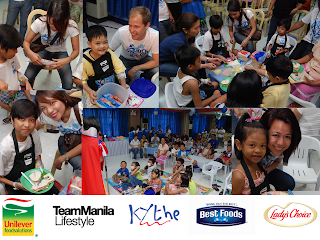 With every 1,000 ‘Likes’ until it reaches 10,000, Unilever will give 1,000 sandwiches to Kythe’s partner hospitals. In line with this campaign, I am hosting this mini-contest for a cause. Thanks to Ms. Janette Toral for making this contest possible. This is just simple as our goal is to spread Real Love. At stake is a Real Love limited edition shirt! 1. Like the Facebook Real Love Fan Page. 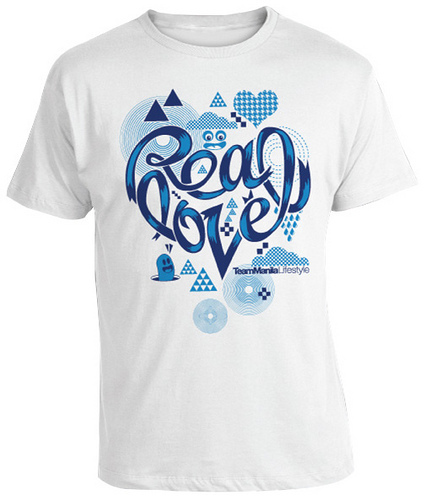 Best answer will receive one Team Manila Real Love shirt! Winners need to be within the Philippines only. Contest will end on October 10, 2010 at exactly 10 PM. Winner will be announced the following day. For those in abroad who still wants to participate the cause, you may want to purchase the Team Manila Real Love shirt online. This is just a simple contest to somehow help the campaign. I hope everyone could participate. Share this post and spread Real Love. God bless everyone! Guys, thanks for joining this mini-contest. I’ll be contacting the winner tonight and hopefully, I could post the winner tomorrow. Thanks for exerting effort and liking the FB Fan Page of Real Love Campaign. God bless everyone! I will share my love to the kids of Kythe by volunteering my time and resources to Kythe. I belive the first step to doing that is by liking the Real Love Facebook fan page and and getting my friends and blog readers to like it too. I will share my love to the kids of Kythe by telling my friends and family about the Real Love Caampaign. I think that the more people know about it,the more love and prayers these kids will receive. I will share my love to the kids of Kythe by promoting the @Real Love Campaign to my students and encourage them to do their part and share their love for the kids of Kythe. Liked the Real Love Fan Page on FB. I will share my love to the kids of Kythe by being an inspiration to them and other people as well. I will share the Real Love campaign to everyone, praying that more donors and volunteers will open themselves to this cause. I would be a PhP100 Miracle Worker. this is a very nice gesture to help kids with cancer, making them feel important and loved. God bless! i will share my love to the kids of Kythe by posting about this on my blog, tweeting and sharing this on facebook so more people can be aware of this! very good cause. keep it up! I will share my love to the kids of Kythe by praying for them. Prayer is powerful, nothing beats the miracle of prayer. God bless! I liked the page too! having liked the Real Love Campaign page is my way of sharing love to the kids of Kythe. I may not be blessed with enough resources to help them but a like, a simple yet meaningful one can spell the difference to the life of these kids. Spread the love – the Real Love in a Kythe’s way. I will share my love to the kids of Kythe by spending time with them. Cancer patients need people who will be with them, giving them love and care. To be able to make it you must allot a time to be with them. Share your happy moments, tell them stories that can inspire them, play with them or anything to make them happy. Spending a moment with cancer patients is the best donation you can give.